This topic contains 7 replies, has 4 voices, and was last updated by Super 4 months ago. Not sure the exact amount of time. Since 1.6.4, safe to say over four years. 10 years at the least. I used cracked Minecraft or other peoples accounts before I could afford my own account. Daily, unless I’m either sick or emergencies or something urgent has forced my hand. 8-9. Some of the DBC base recipes would probably be my biggest struggle to remember off hand unless I had searched it up myself. 9. I know most if not every quest or area low end to end game players can play. I reset my stats often on the server which in terms helps me help out people that start out. Also from what I’ve heard and from other people I amassed experience. 7. I know every command a normal player would need or want to use at any given time. Staff commands would be the reason I rate it a seven since I haven’t really had training or experience in most modern commands. It’s just something that takes time to get accustomed to, like anything else. Since 1.6.4 I’ve been on JinGames over 4+ years of experience to be sure. It isn’t something I’ve been on all the time though. 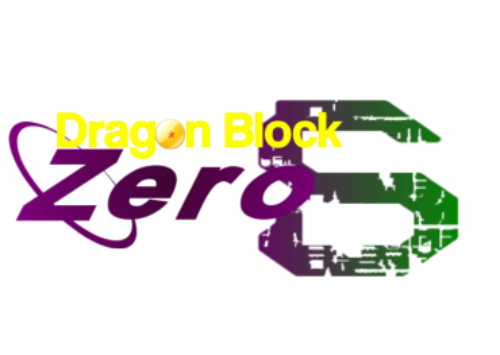 From the journey from 1.6.4 Dragonblock to 1.7.10 Dragonblock I’ve taken breaks, either to wait for updates or just to get back into the groove of it without being burned out. Great from my experiences. I’m not a very outspoken or extroverted person in chat at any given time but when I’m there I’m either there to help out players or to just converse every now and then. From a warp standpoint or training areas I’d say 10/10 in terms of knowledge. Most players I see very often as I’m on daily. From what I’ve seen them say in chat themselves or even in game when I happen to walk by them is where I get to know them and their mannerisms. To make a long answer short I know players very well. Unless they’re new and I have to get to know them. Because myself I enjoy helping new players, anything to keep new and fresh faces on the server. I find myself stopping farming crops/grinding/or just doing base Minecraft stuff to spare 10 to 15 minutes of my time helping someone out depending on the task. I have been procrastinating applying for so long because I just see myself as a normal player. If I was a helper new players would know to look to me for help/assistance. 18. The year/s after 2000 is always my age. May 18th 2000 to be exact. I had been an Admin before in base Minecraft when I was 13 or so. I can honestly say I have no recollection of the server since it’s been so long but from that experience alone I got to know knowledge of commands, server tweaks, and helping players in general. English. I know basic German and French but not enough to be considered good. I’m an easygoing, mature and reliable person. I’ve been gaming for pretty well most of my life and in doing that got a sense for getting well with others or working together. Assistance to players, new or not I will strive to correct. Advice or help with staff and/or players. Or anything the staff needs more help with. Somewhere below Moderator. Moderator seems something originally I had planned for when I decided to sit down and apply, but in saying that I would not know if I’d be ready for that big a jump in responsibility as a higher up in staff. This topic was modified 7 months, 2 weeks ago by Dirdy. EDIT: How often can you get on the server? : 3-7 hours Daily. Either throughout the day multiple times or just straight up binged. Thanks for the catch, hate to post inaccurate information. After researching I’d say I’ve been on Minecraft around 2010-2011. Post Alpha. Can Giga or someone close this thread/let him know so can it be closed please. It’s been up for over a month with no response :/ Thanks in advance – Lost. The topic ‘Dirdyrick Helper Application’ is closed to new replies.